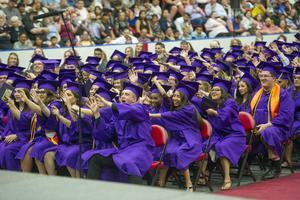 Results show a 74.2 percent graduation rate for the Hermiston School District, for the 2017-18 school year. This morning, the Oregon Department of Education released the graduation rates for all public school districts in Oregon. 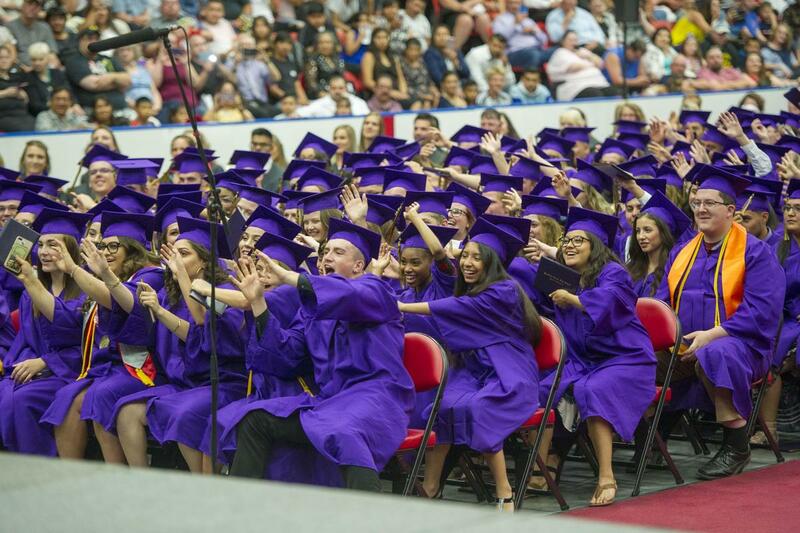 Results show a 74.2 percent graduation rate for the Hermiston School District, for the 2017-18 school year. This is an 8.3 percent increase from the previous year’s district rate of 65.82 percent. The district also saw an improvement in the four-year completer rate, with an 87.47 percent in comparison to the state’s average of 82.53 percent. The four-year completer rate includes students who earned an extended diploma or GED in addition to those who earned a standard or modified diploma, as presented in the graduation rate calculation. For more information on the district’s graduation rate, visit the ODE website at www.oregon.gov/ode.